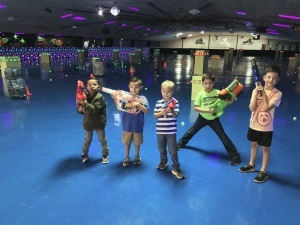 Who: Our birthday parties are perfect for birthdays, school field trips, church groups and sports teams. What: We offer two types of parties. General Parties take place during the times we are regularly open called general sessions and Private Parties can be scheduled any time we are regularly closed. 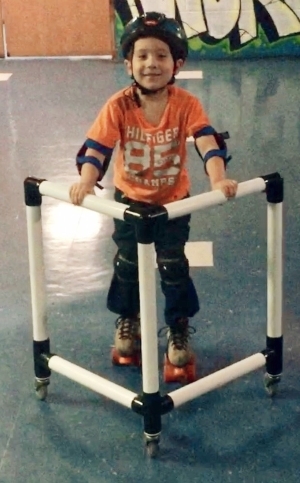 A General Party includes admission and the traditional roller skates for your guests. We provide all the entertainment for your guests by doing games every 30 minutes on the skating floor. The Birthday Person will get to go into the Money Machine and will receive a prize. 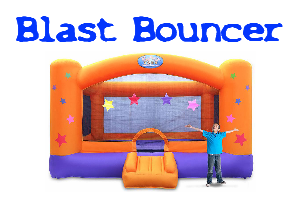 Guests can also enjoy Inflatable Bounce House Fun with a Bounce Band Upgrade. Guests can bring in thier own inline skates, scooter, or rip stick or rent them from us. Smaller parties are guaranteed two party tables. Additional tables are provided for larger parties. You have total freedom to bring in food, refreshments and decorations. Please no glow products, confetti or silly string, and chewing gum. Cost for a General Party is only $40.00 and that includes 10 FREE children/teens! Each additional children/teens is only $4 each. There is no maximum amount of guests you can have.There is NO DEPOSIT required for General Parties. Payment is due on the day of your party once all guests have arrived. A Private Party gives you the entire skating facility to yourself and up to Fifty skaters Free! Pay only $3 for each additional over 50. 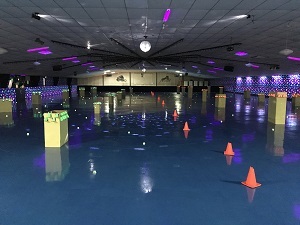 Private parties include traditional roller skates for your guests and a DJ to play music and games for your guests. The Birthday Person will get to go into the Money Machine and will receive a prize. Inflatable Bounce House Fun available with upgrade. Guests can bring in their own inline skates, scooter, or rip stick or rent them from us. You may bring in any food, refreshments and decorations that you like. Please no glow products, confetti or silly string, and chewing gum. Private Parties are available any time we are not open for the public. Cost for a Private party is $200 for two hours and you get 50 free guests. Additional guests over the first 50 are $3.00 each. There is a minimum of two hours for all private parties. Party time can be added at a cost of $100.00 per hour or $50.00 for half an hour. (Example: A two hour Private Party with 50 guest or less is $200.00.) All private party reservations are only guaranteed for 5 days without payment. A minimum payment of $200.00 is required to finalize and guarantee all reservations. We cannot guarantee your reservation after 5 days of book date without payment. When: General Parties can take place anytime that we are regulary open. Private Parties are available any time we are not open for the public. 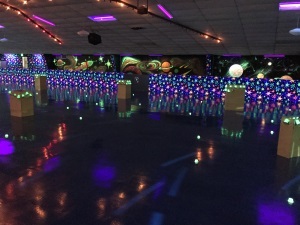 Skateworld does it's best to accommodate last minute parties. We ask that all children and teens obtain an admission ticket to enter for both General and Private parties regardless of whether they will be skating. Parents and Grandparents are not required to have an admission ticket to enter and they are not counted towards your party totals unless they would like to participate in activities. All children and teens must have admission ticket to enter. Children 2 years old and under that will not be participating in roller or bounce house fun do not require an admission ticket to enter. It's like having your own personal skate instructor helping build skating skills. Skate Trainers can be rented at only $5 each and can be used for the entire skate session. 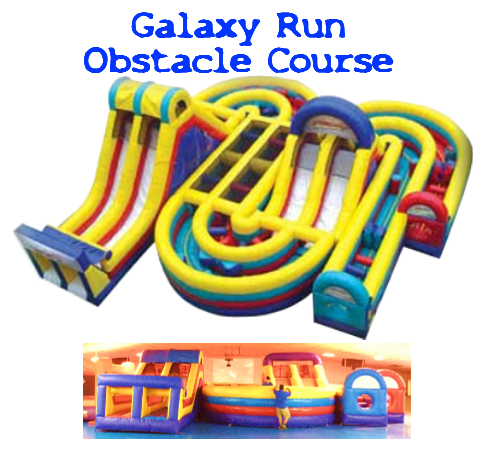 A Private Party can add the Galaxy Run, MoonWalk and Blast Bouncer for $100. 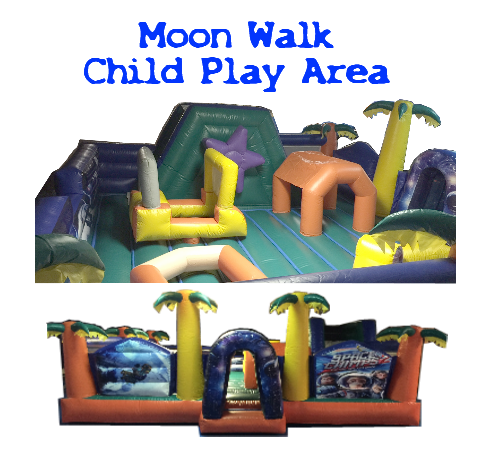 A General Party can add unlimited bounce bands to the Galaxy Run, MoonWalk and Blast Bouncer for $3 for each guest that requests a band. Please inform Skateworld Admission office that Party Host will be covering upgrade cost for Inflatable Play for only those that request a bounce band. Guests can also upgrade on their own and purchase the unlimited bounce band for $4 at no cost to Party Host. Aliens have laid green and orange eggs in pods and they will soon hatch and spread throughout the world. Party Guests will be divided into the Green team and the Orange team. Each team must destroy all of their alien eggs on each pod. The Team that eliminates their eggs first is named The Top team and must help the other team save the world! Guests must bring their own Nerf Guns that use standard nerf darts. The Blacklight Nerf Adventure Course will be Setup upon arrival. Once the Teams destroy all the eggs it is recommended for party food and cake to be done to allow clean up. The party can then move to skating and or Inflatable fun! Available for Private Parties! Add the Ultimate Blacklight Nerf Adventure to your private party for $175.